Falls among the elderly are a common occurrence and a major problem. In fact, it is said that falls are known to be the leading cause of injury, hospital admission, and even death in those who are aged 65 and above. 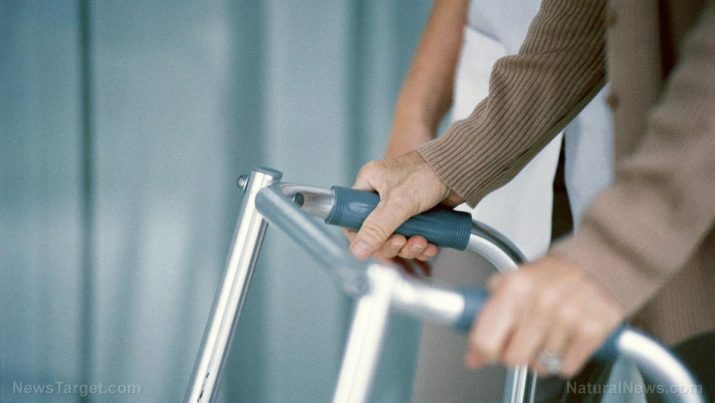 For this reason, a pair of engineers from Vanderbilt University have come up with a possible solution in the form of something they call the “IntelliCane,” a smart cane that comes equipped with a number of sensors that can be used to gather important data. A report on the IntelliCane said that it offers the ability to quantitatively calculate falling risk as accurate as a skilled physical therapist can, which means that they could effectively serve as an active monitoring tool to keep track of a person’s condition as far as their ability to stand is concerned. Using onboard sensors, it can also analyze a person’s gait to determine the overall risk of falling. And it functions as a regular cane, too. According to Nilanjan Sarkar, a professional of mechanical and computer engineering and one of the makers of the IntelliCane, the multi-use nature of the smart cane is due to a number of astute observations. “When I realized how big this problem was, we started searching for available solutions,” he explained. “Initially, my thought was to design something to prevent falls, but after more thought and a little experimenting we quickly realized that this was not practical.” From that point, he determined that the next best thing was to find out how to reliably estimate the risk of falls to make sure that much-needed intervention can be applied whenever necessary. Based on current standard practices, physical therapists can estimate falling risk by observing patients as they walk back and forth between two lines under a variety of different conditions – fast and slow, looking to the left and looking to the right, stepping over obstacles along the way, up and down a number of steps, and while blindfolded. Based on their observations, they will assign a rating to the patient to indicate how steady they are during each task and combine all their ratings to one overall risk estimate. The IntelliCane can do all of that and more. According to Joshua Wade, a graduate student who helped in its development, the IntelliCane can help therapists collect much richer data about the gait of their patients as they go about their everyday lives, thereby enabling them to intervene more quickly if necessary. The IntelliCane could serve as the perfect complement to current physical therapy tests, which can’t always capture a patient’s full experience throughout the day. Any and all data gathered by the IntelliCane’s sensors gets wirelessly fed to an algorithm that conducts a thorough analysis. Patricia Fleming, a physical therapist who participated in the initial testing phase, said that the system was quite innovative and could augment what is being done with patients in clinics. For now, Sarkar and Wade are happy that their initial study has helped validate their basic ideas. Next, they plan to apply their methods to other devices like wheeled walkers and crutches. And they will do so as part of a company they formed together, with an eye on commercializing the technology they built and subsequently patented, called Adaptive Technology Consulting. Check out other cool new technology at Innovations.news.